A frustrating May filled with 2% and less than 2% tornado days mercifully came to an end on the Oklahoma/Texas border. 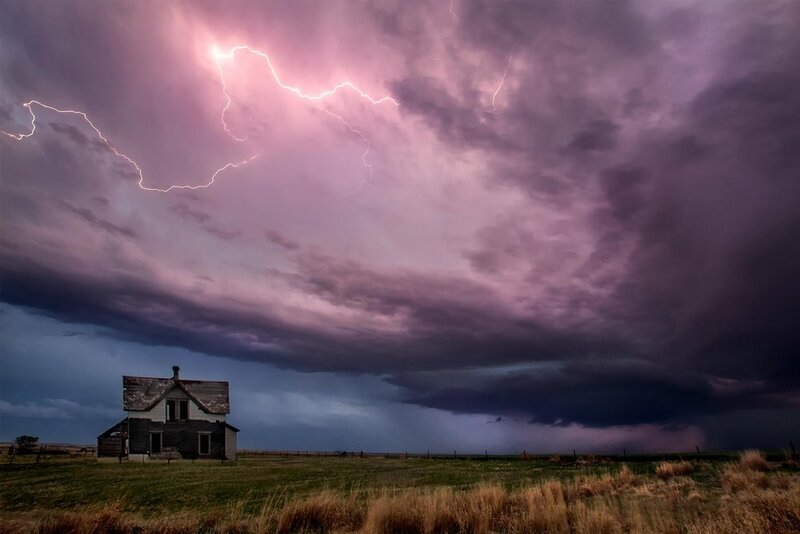 It was another day of storm structure and lightning, which don’t get me wrong is awesome, but it is May and we expect some volatile tornado setups in the month most seasons. 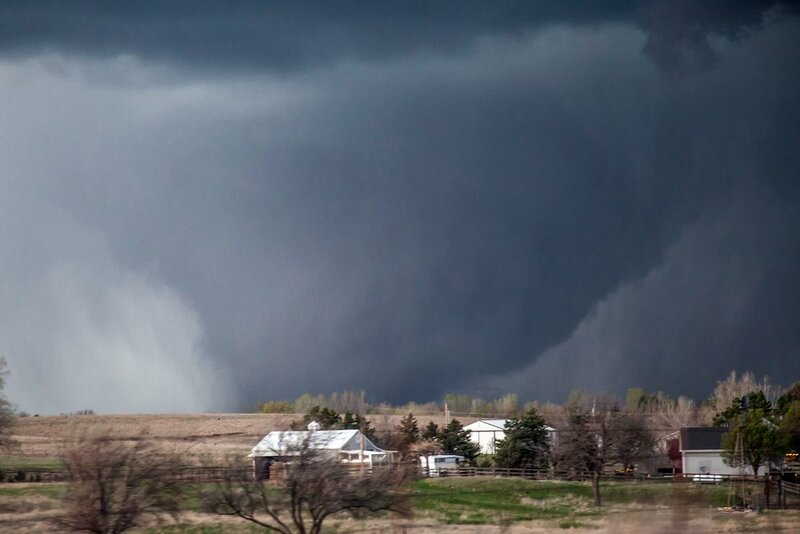 The only strong, engageable tornado in the Great Plains through the entire month of May. Once in a while you get an area that experiences repeated episodes of severe weather. 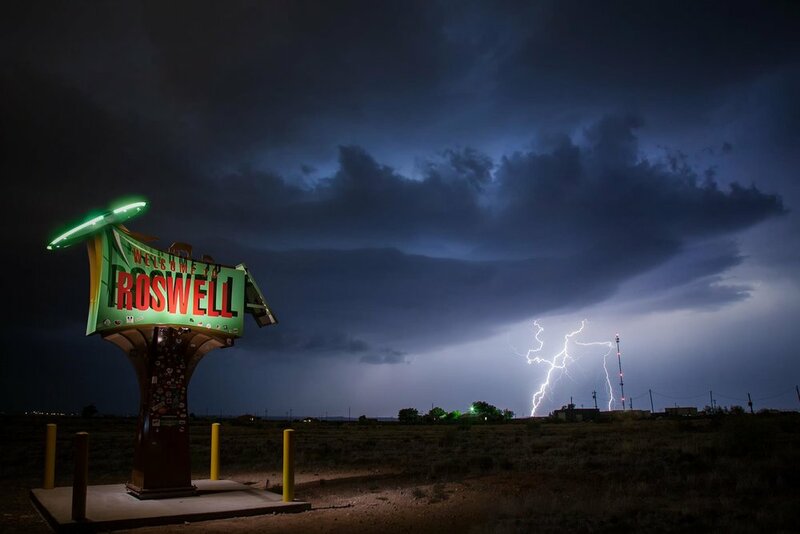 This occurred in an upslope regime in Eastern New Mexico. 3 straight days of Marginal Risk’s with less than 2% tornado probabilities yielded multiple sculpted supercells each afternoon and evening. Topped off with a tornadic supercell on May 23. There is a saying that goes, “It’s May. You chase”. It basically means that in this month, get out as much as you can because sometimes mesoscale accidents happen. That was the case for us in Northwestern, Kansas on this day. It was a broad slight risk with a 2% tornado probability. Our storm initiated and rapidly became surface based, exhibiting multiple areas of rotation, wall clouds, and funnels which we reported via Spotter Network. Then we saw the tornado form on northern side of the meso, reported it. Soon after Savannah's phone rang, it was NWS Goodland. They asked what we had seen, if the tornado was still occurring and if there was still persistent rotation. A minute later the first tornado warning went out on the cell. We were the only tour present and just a handful of other chasers were there as the horde was down in the Garden City area. We nicknamed the tornado Ourberlin. Cool first to be such an intricate part of the warning system. The tornado occurred over rural area and did not produce damage and was therefore never rated. We started the day in Northeastern Colorado, where the Storm Prediction Center had issued a Slight Risk for the day with a 2% tornado probability. The storms started off in the upslope flow, (wind pushing against the elevating terrain towards the Rockies) but were very elevated and fairly weak. The storms became outflow dominant and produced a terrific shelf cloud/whale’s mouth as the sun lit the sky a brilliant red under the turquoise clouds. Multiple supercells traversed the Sydney Nebraska area, one dumping tennis ball size hail through town and another producing brilliant lightning late into the night. We started the day in Denver after chasing some elevated hail storms the day before. SPC had Northeastern Colorado in a Marginal Risk for severe thunderstorms with a coinciding 2% tornado risk. With the pattern still unfavorable, we had to move some things around with the tours. We targeted the Texas Panhandle, where the Storm Prediction Center mentioned a chance for isolated dry thunderstorms. Dry thunderstorms are storms that occur without rain. These are sparked by large wildfires and volcanic eruptions and most people have never seen them. We targeted Shamrock, Texas and after lunch we started seeing pyrocumulus forming off of a large wildfire near Mallard, Texas. It took some time to get going but eventually the pyrocu grew into a cumulonimbus and started producing lightning, sparking smaller fires across the dry landscape. The storm eventually grew into a legitimate supercell with some fantastic mothership structure as it moved over Shamrock before dissipating east of town. 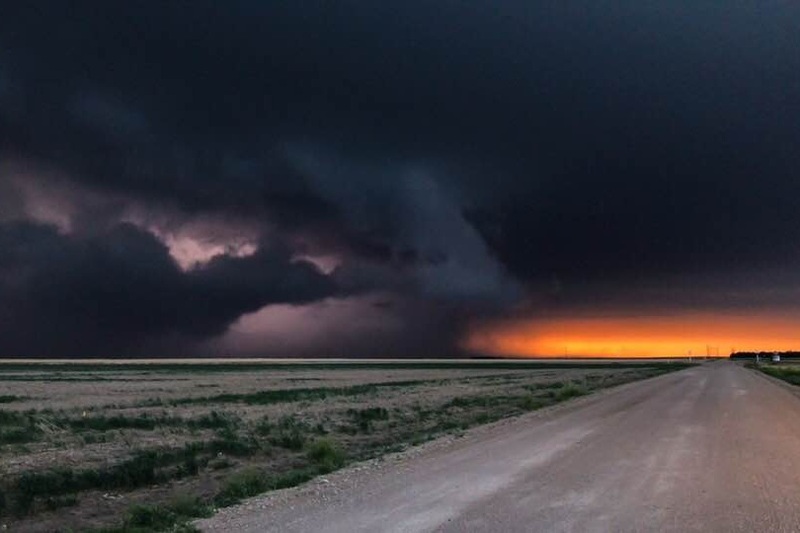 Sometimes the large scale synoptic pattern grows unfavorable for severe weather, and that is exactly what happened in May 2018 after a volatile first two days of the month. We actually offered guests the option to switch out to later tours, a luxury we won’t have as we continue to grow. We still ran tours though, with some guests being unable to change travel plans. May 4 was a pickup day and with no storm chances we did some landscape photography and visited the Twister! the Movie Museum in Wakita, Oklahoma. On May 5, the setup looked dreadful with high pressure taking its grip on Tornado Alley. The outlook from the Storm Prediction Center was not encouraging, with just a general thunderstorm risk across the Central Plains. We targeted western Iowa, where a few elevated storms fired late in the afternoon. We worked our way east back into Nebraska when a storm finally shot up and went severe warned near Blair. It was elevated but our guests were treated to a spectacular lightning display. Not bad for a day where every other storm chase tour company was sightseeing. Still riding adrenaline from seeing an EF3 the day before, we targeted down the dryline where an Enhanced Risk with a 10% significant hatch for tornadoes was in place from Western Kansas through Western Oklahoma. Storm mode was messy further north where storms were embedded within a mesoscale convective system, so we targeted Western Oklahoma with a better chance for discrete supercells. We chased a tornado warned supercell in Binger, Oklahoma. The storm had a low hanging wall cloud, but quickly became outflow dominant, eliminating the chance of a tornado. The cell did have some solid structure and produced a brilliant positive lightning display for approximately 30 minutes. The day started out as an Enhanced Risk from the Storm Prediction Center with a 10% hatched risk for significant tornadoes in Central Kansas (it would eventually be upgraded to a Moderate Risk for very large hail). We targeted Great Bend, Kansas for storm initiation and the storm that would eventually produce the tornado initiated near there. 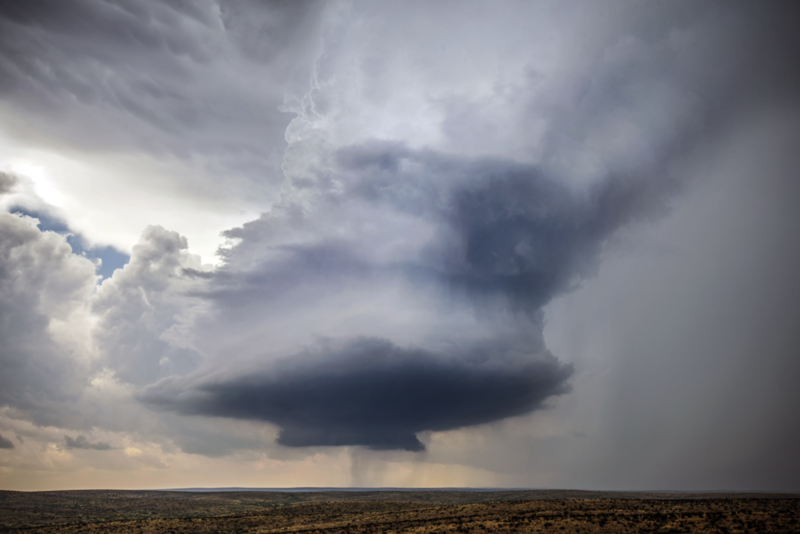 The supercell exhibited classic structure and produced a low hanging wall cloud before transitioning into a messy HP storm for the next 90 minutes. We stayed with the storm, without much to see while watching a cell on radar 70 miles south, which looked like the real deal. We debated for a few minutes on which storm to commit to, and even drove south for a few minutes before changing our mind and heading back towards the initial storm. The southern storm began to die out as we got neared the town of Culver and saw a very large and low wall cloud. Once we got within a couple miles, the storm produced a large wedge tornado. We moved north to get into position for a close intercept as the tornado crossed the road in front of us. The tornado occluded and became wrapped in heavy precipitation, going from highly visible to indiscernible in less than four minutes.